Ora VANLANDINGHAM was born on 29 Mar 1893 in Miami, Ottawa, Oklahoma. He died on 24 Nov 1961 in Las Animas, Bent, Colorado. Ora married Flora Bell ROGERS on 16 Sep 1914 in Lamar, Prowers, Colorado. Flora Bell ROGERS [Parents] was born on 16 Mar 1919 in Fayette, Fayette, Alabama. She died on 28 Jul 2006 in Fayette, Fayette, Alabama. 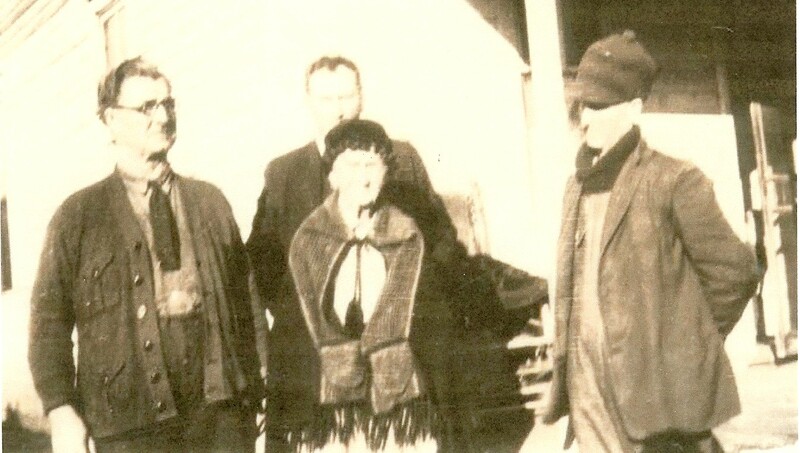 Flora married Ora VANLANDINGHAM on 16 Sep 1914 in Lamar, Prowers, Colorado. Ruby VANLANDINGHAM was born on 25 Sep 1915 in Granada, Prowers, Colorado. Vera VANLANDINGHAM was born on 27 Dec 1917. Madge VANLANDINGHAM was born on 1 Dec 1919. Jack VANLANDINGHAM was born on 1 Apr 1921 in Granada, Prowers, Colorado. Leona VANLANDINGHAM was born on 1 Dec 1924. Lavina VANLANDINGHAM was born in 1926. Nathan ODUM was born about 1915. Nathan married Flora Bell ROGERS. Flora Bell ROGERS [Parents] was born on 16 Mar 1919 in Fayette, Fayette, Alabama. She died on 28 Jul 2006 in Fayette, Fayette, Alabama. Flora married Nathan ODUM. Dan POTTS. Dan married May ROGERS. May ROGERS [Parents] was born in 1928. She was christened in 1982. May married Dan POTTS. Martin Joseph ROGERS “Jr” [Parents] was born on 27 Apr 1892 in Reese, Tuscaloosa, Alabama. He died on 15 Jun 1975 in Samantha, Tuscaloosa, Alabama. Martin married Nancy Evelyn KYSER on 8 Sep 1915 in , Tuscaloosa, Alabama. Nancy Evelyn KYSER was born on 10 Sep 1900 in Reese, Tuscaloosa, Alabama. She died on 29 Dec 1978 in Samantha, Tuscaloosa, Alabama. Nancy married Martin Joseph ROGERS “Jr” on 8 Sep 1915 in , Tuscaloosa, Alabama. Victor Lee ROGERS was born on 23 Jan 1917 in Ridge, Fayette, Alabama. Trannie Mae ROGERS was born on 22 May 1919 in Ridge, Fayette, Alabama. Joseph Vester ROGERS was born on 14 Sep 1921 in Ridge, Fayette, Alabama. William Lester ROGERS was born on 15 Aug 1922 in Ridge, Fayette, Alabama. Mary Elizabeth ROGERS was born on 28 Jul 1924 in , Fayette, Alabama. Claude Olan ROGERS was born on 19 Apr 1928 in , Tuscaloosa, Alabama. James Dalton ROGERS was born on 3 Jul 1929. Bertha Mae ROGERS was born on 5 Oct 1924. Rube MARTIN. Rube married Ella MADDOX. Ella MADDOX [Parents] was born in 1906 in , , Alabama. Ella married Rube MARTIN. Hinton H. MC COOK. Hinton married Vernelle MADDOX. Vernelle MADDOX [Parents] was born on 15 Jan 1922. Vernelle married Hinton H. MC COOK. Erskin Terry CARROLL. Erskin married Cathy Lorene MADDOX. Cathy Lorene MADDOX [Parents] was born on 28 Jun 1954. Cathy married Erskin Terry CARROLL. Greenbury B. COOLEY [Parents] was born on 31 Oct 1844 in Near Salem, Washington, Indiana. He died on 12 Sep 1899 in Lucerne, Putnam, Missouri. Greenbury married Amelia Mohler PETTIT on 26 Apr 1866. 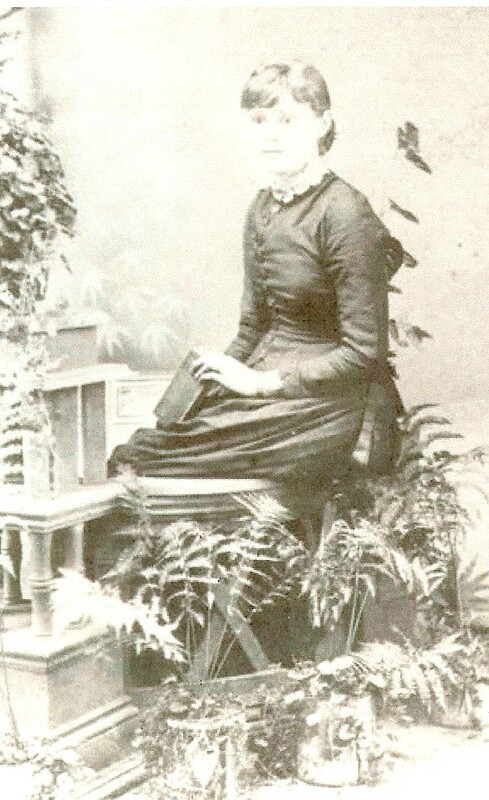 Amelia Mohler PETTIT [Parents] was born on 11 Apr 1846 in Taylorville, Muskingum, Ohio. She died on 19 Jun 1930 in Lucerne, Putnam, Missouri. She was buried in Busby Cemetery, Lucerne, Putnam, Missouri. Amelia married Greenbury B. COOLEY on 26 Apr 1866. M i Joseph William "Joe" COOLEY was born on 28 Jan 1867. He died on 24 Jan 1947. Charles Edward COOLEY was born on 9 Feb 1868 in Powersville, Putnam, Missouri. He died on 3 Feb 1871. M iii Harvey Ervin COOLEY was born on 19 Jul 1870. He died on 4 Jan 1951. F iv Kelita E. COOLEY was born on 18 Mar 1872. Millard Greenbury COOLEY was born on 3 Nov 1875 in Lucerne, Putnam, Missouri. He died on 18 Nov 1897. David COOLEY was born on 9 Dec 1877 in Lucerne, Putnam, Missouri. He died on 11 Nov 1878 in Lucerne, Putnam, Missouri. F vii Dora Bell COOLEY was born on 22 Nov 1879. She died on 23 Aug 1954. M viii Charles Jubal COOLEY "Jr" was born on 24 Dec 1881. He died on 4 Sep 1942. M ix Clark Sherman COOLEY was born on 16 Feb 1884. He died on 31 Jan 1960. M x Ervin Fletcher COOLEY was born on 29 Dec 1893. He died in Dec 1978. 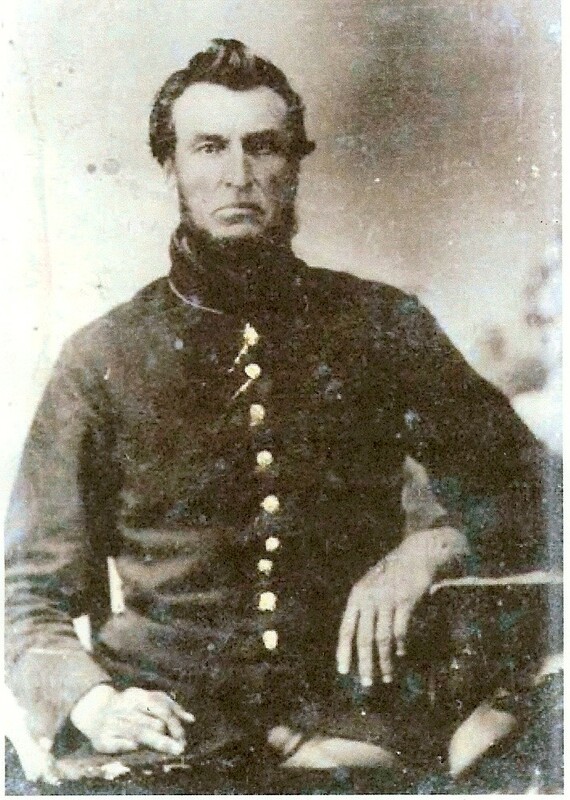 David COOLEY was born in 1815 in Near Salem, Washington, Indiana. He died on 25 Jul 1865 in St. Louis, St. Louis, Missouri. David married Laurida AIKEN on 9 Dec 1838. Laurida AIKEN was born on 6 Apr 1821 in , , Indiana. She died on 19 Apr 1855 in , Putnam, Missouri. Laurida married David COOLEY on 9 Dec 1838. M i Greenbury B. COOLEY was born on 31 Oct 1844. He died on 12 Sep 1899. Joseph William "Joe" COOLEY [Parents] was born on 28 Jan 1867 in Near Terre Haute, Lucerne, Putnam, Missouri. He died on 24 Jan 1947 in Seymour, Wayne, Iowa. He was buried on 26 Jan 1947 in Lucerne, Putnam, Missouri. 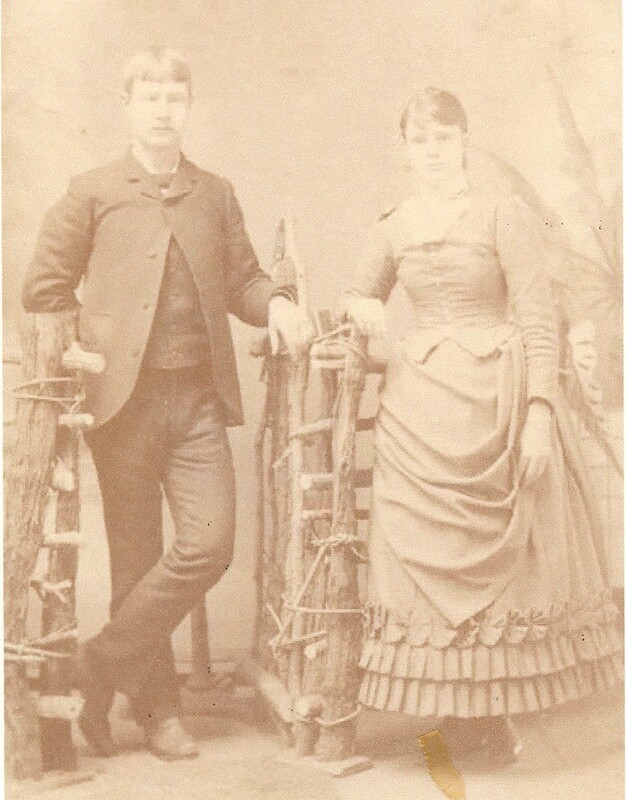 Joseph married Araminta D. "Arna" JOHNSON on 11 Mar 1886 in Lucerne, Putnam, Missouri. Araminta D. "Arna" JOHNSON [Parents] was born on 1 Nov 1863 in Centerville, Appanoose, Iowa. She died on 22 Jan 1902 in Lucerne, Putnam, Missouri. She was buried in Lucerne Cemetery, Lucerne, Putnam, Tennessee. 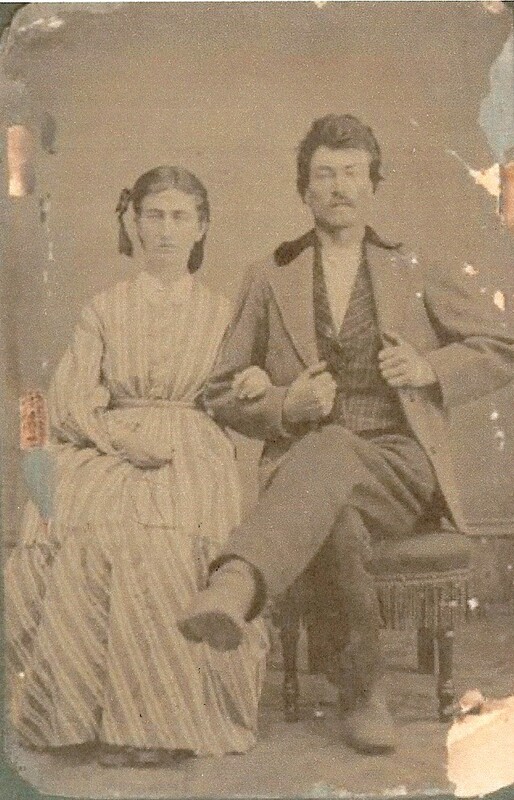 Araminta married Joseph William "Joe" COOLEY on 11 Mar 1886 in Lucerne, Putnam, Missouri. Lula Maude COOLEY was born on 19 Mar 1888 in , , Missouri. She died on 29 Nov 1890. Miss COOLEY was born on 26 Apr 1889 in Medicine Twp, Putnam, Missouri. She died before 1900. Claitus COOLEY was born on 26 Apr 1889 in Lucerne, Putnam, Missouri. She died on 18 Nov 1890 in Lucerne, Putnam, Missouri. M iv Joseph Claude COOLEY was born on 15 Nov 1890. He died on 12 Jun 1969. F v Chloe May COOLEY was born on 1 May 1892. She died on 28 Apr 1951. F vi Vernal C. COOLEY was born on 22 Mar 1896. F vii Allison COOLEY was born in Apr 1897. M viii William Allison "Bill" COOLEY was born on 5 Feb 1898. He died on 28 Sep 1918 from WW I War Casualty. M ix McCabe COOLEY was born on 22 Nov 1899. He died on 7 Jan 1958.